This is the world primere of my review of April Birchbox Madmen NYC Edition versus April/Spring Target Beauty Box!! I have previously received, tried, and review both boxes! So which box came out a "WINNER" based on my personal reviews!! After trying these products, I gave this subscription box "Five out of Five" which I gave for my satisfaction of all five samples that I received in my April Birchbox Madmen NYC Edition! BIRCHBOX Madmen NYC Edition box for being "Five out of Five" review score!! I hope to do more of box reviews like this plus possible viewer input in the future!! I bought both of these boxes and I'm really happy with them! 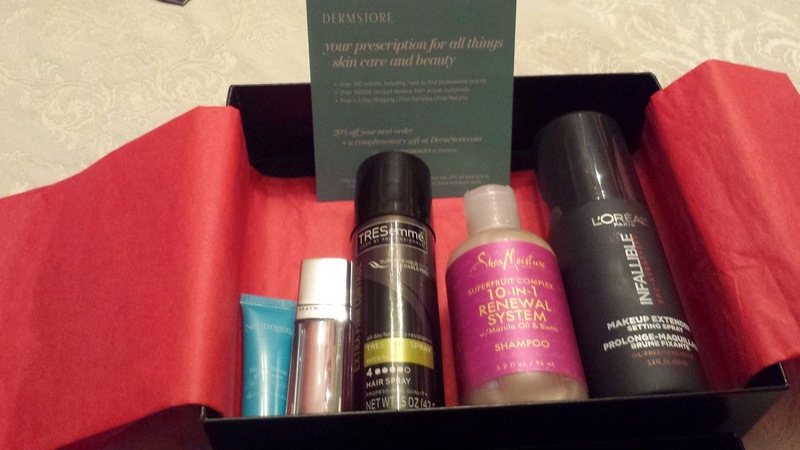 I just got my Target box yesterday and I can't wait to try out that shampoo! What do you think of the Shea Moisture Shampoo in your Target box? The Mad Men theme sounds really cool and the waterproof blush is such a good idea! I have not got in on the Target box yet but I have been getting the seasonal Walmart boxes. They are alright for what I pay but they don't even compare to Birchbox. I need to get my hands on the next Target box though! Thanks for sharing it with us all! I figure this will give me good practice in comparing two (or more) beauty boxes and use my methods to judge which is the better deal!